With winter officially here, children’s outside playtime has plunged because of rain, the cold and snow – with more indoor time increasing the risk of spreading the cold and flu germs that abound at this time of year. Fortunately, Ready Readers has three book recommendations to help you talk with your own youngsters about preventative steps, as well as stories featuring favorite characters with under-the-weather woes. 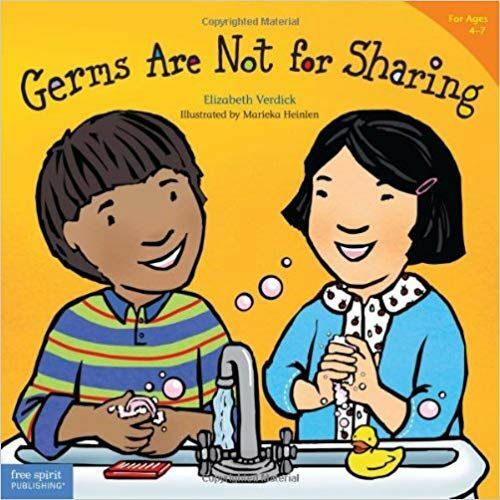 The first recommendation, Germs Are Not for Sharing by author Elizabeth Verdick and illustrator Marieka Heinlen, should make a valuable tool to help lay the groundwork for good health and hygiene habits with children of all ages. As part of a series that helps parents, teachers and caregivers impart simple but essential lessons to toddlers and preschoolers, the book offers facts in a fun, engaging manner. Heinlen’s approachable preschool-aged children introduce the concept of germs and how they’re transferred through regular activities like holding hands, playing games and giving high-fives. The friendly, diverse characters model good ways of catching sneezes – use your elbow, not your hand, please! – and a musical method for taking your time to wash your hands thoroughly. Our second recommendation comes from one of the most popular children’s author/illustrators in recent years, the late Anna Dewdney. Children of all ages have tirelessly delighted in the antics of her Llama Llama in that best-selling series, and. 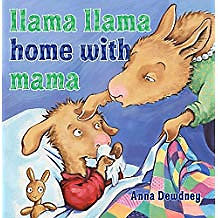 Llama Llama Home With Mama features the character waking up feeling “yucky.” Llama Llama’s sneezes, sniffles, sore throat and warm forehead signal his sickness to Mama Llama, who sends the red pajama-clad critter back to bed to rest. He swallows his fruity medicine and settles in for some quiet activities before drifting off to sleep. Through the course of the day, Llama Llama begins to feel better and more energetic – unfortunately, as poor Mama succumbs to the symptoms seen earlier. Watching Llama Llama then pamper Mama should lift the spirits of all story lovers. Our third recommendation, When Your Elephant Has the Sniffles, comes from author Susanna Leonard Hill and illustrator Daniel Wiseman. Written as a guide to tending for the precious but ailing elephant in the reader’s own family, it gives instructions from a charming, capable little girl in practical ways of taking care of him. The ministrations begin with putting him to bed “even if he tells you he’s just fine,” propping him up with pillows and bringing his favorite stuffed animal. Most important, the little girl suggests hiding anything that might make him sneeze – a caution often repeated. Children and adults alike should recognize and appreciate the heroine’s attempts to keep the infirm pachyderm from being bored, as well as her waning enthusiasm as the day lengthens. In the end, her efforts lead to a dreaded elephant sneeze – and the consequences that sometimes befall friends who share everything. At Ready Readers, we know that “Kids Who Read Succeed!” Reading aloud daily provides a strong foundation for early literacy. If you enjoy reading and sharing the magic of books, please consider becoming a volunteer for Ready Readers and reading aloud to a classroom of preschool children in an underserved area of St. Louis. Visit readyreaders.org for more information.